December seems to bring news of tragedies. 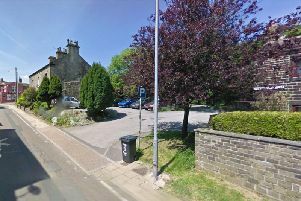 This year the horror of finding a newborn baby’s body in a wheelie bin in North Yorkshire, of a desperate mother who jumped to her death from a cliff with her five-day-old daughter, and hostages killed in Yemen. I have also been struck by the controversy about traditional nativity plays in schools - that one in eight schools has abandoned them in favour of a “Winter Celebration”, and of how Mary, Joseph and Elvis feature in several. Some say it is nothing but a fairy story but 80 per cent of parents want their children to celebrate the real Christmas story. And even fairy stories contain a great deal of wisdom and truth. How strange that God should decide to come in person – the person of our Lord Jesus Christ - to reconcile us to God. How amazing that God came as a helpless vulnerable baby, wholly dependent on his mother’s loving care. And what about the maternity arrangements. No room for them in the inn, but a stable is surely a last resort. Can this assure us that there is no heart too lowly, no life too unworthy for God to enter into it? There was no room at the inn but Jesus, who was laid in a manger, reaches out to those who make room for him, though many of us are so preoccupied with Christmas preparations and celebrations that we leave no room for Jesus. Angels, shepherds and wise men all rejoiced at the Holy Birth. Whichever category you come into – O come let us adore Him, Christ the Lord.